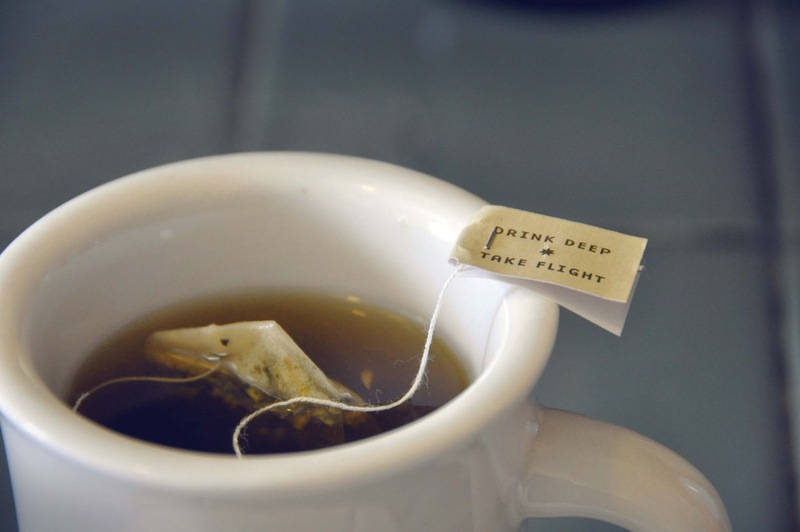 Nola West: "Drink Deep + Take Flight"
Today I am thankful for caffeine in the morning and slow starts to the day. I love huge holiday mornings as everyone slowly crawls out of bed and gathers around the hearth. Truth be told I am much more of a chicory coffee drinker than a tea partaker but I do sip from time to time. Especially when the packaging reminds me to enjoy every moment.